How Much Does it Cost To Fly To Grand Canyon? The cheapest flights to Grand Canyon found within the past 7 days were $119. Prices and availability subject to change. Additional terms may apply. Although you may try and resist the urge, you know that when the travel bug comes, there is only one way to get rid of it. Thankfully, Travelocity is here to help nip that travel bug in the bud with great deals on flights to Grand Canyon. Browse through our inventory to explore a wide range of cheap flights to Grand Canyon to solidify your next big trip out of town. Whether you are heading out on a business trip, exploring a place you have never been for pleasure or are bringing the family on the annual vacation, we have the perfect getaway waiting for you. In no time, you will be day dreaming of your plane landing in Grand Canyon as you anxiously await to exit the plane and explore what Grand Canyon has to offer. Considering all the amazing local food and culture in Grand Canyon, we won't hold this against you. When you are ready to embark on your next big adventure, Travelocity will be right here waiting to open the doors to the garden so that you can go and smell the roses. When you decide to book and travel is entirely up to you, but don't wait too long because we have some of the best deals on the web and they won't last long. Take time to go through our huge selection of cheap flights to Grand Canyon to find the best deals that fit into your budget. If browsing on your phone while your boss isn't looking is more your thing (we promise we won't tell), consider checking out Travelocity's mobile app which allows you to take advantage of all our flights to Grand Canyon without having to compromise your work computer's search history. If you are looking to save even more, you can easily save up to $537 when you bundle one of our cheap flights to Grand Canyon with one of our hotels in the Grand Canyon. So why are you waiting around? There is no better time than now to start booking that next trip. Start your search now to book one of our flights to Grand Canyon today! Question : Where can I find cheap flights to Grand Canyon? Answer : We know you’re looking for the best flights at the lowest fares, so we found some of the sweetest deals in town just for you. Check out the top flight deals to Grand Canyon. Act quickly and score yourself a bargain! American Airlines has a flight from to Grand Canyon departing on 4/30/19 and returning on 5/4/19 all for only $184.00 per person. * Book these American Airlines flights! American Airlines has a flight from to Grand Canyon departing on 5/21/19 and returning on 5/25/19 all for only $238.00 per person. * Book these American Airlines flights! American Airlines has a flight from to Grand Canyon departing on 5/17/19 and returning on 5/21/19 all for only $343.00 per person. * Book these American Airlines flights! Question : What are the most popular airlines that fly to Grand Canyon? American Airlines Flies 81 flight per week between and Grand Canyon. United Airlines Flies 51 flight per week between and Grand Canyon. Delta Air Lines Flies 17 flights per week between and Grand Canyon. 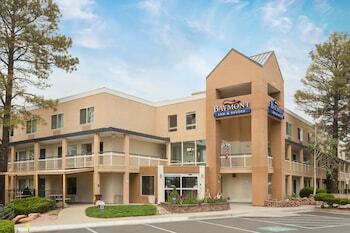 Question : Which hotels are located near airports or major attractions in Grand Canyon? 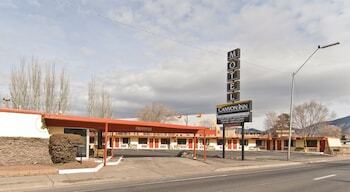 Answer : We've put together a list of hotels in Grand Canyon close to airports and popular sights to see. Check out the hotels below. 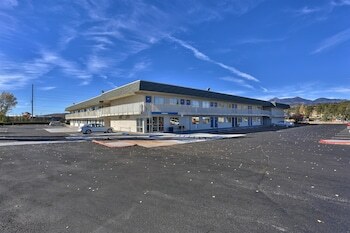 All of them are within proximity to must-see attractions and major airports in and around the city of Grand Canyon. 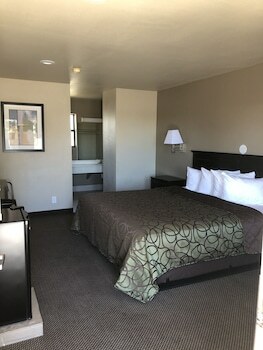 Yavapai Lodge: Located in Grand Canyon Village, this hotel is within 1 mi (2 km) of Grand Canyon Visitor Center, Grand Canyon National Park, and Mather Point. Hopi House is 1.1 mi (1.7 km) away. 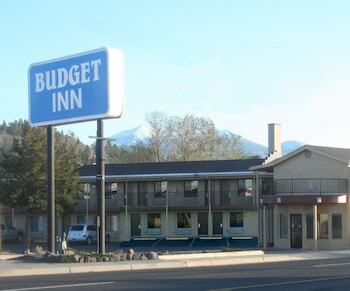 This hotel has a 2.00 star rating. Red Feather Lodge: Located in Tusayan, this hotel is within 9 mi (15 km) of Grand Canyon Clinic, Grand Canyon National Park, and Hopi House. Mather Point and Mary Jane Colter Buildings are also within 9 mi (15 km). This hotel has a 3.00 star rating. The Grand Hotel at the Grand Canyon: Located on US Highway 64 in the town of Tusayan, this hotel is just 1 mile (1.6 kilometers) from the Grand Canyon National Park's entrance and within 9 miles (14.5 kilometers) of the Rim Trail. This hotel has a 3.00 star rating. 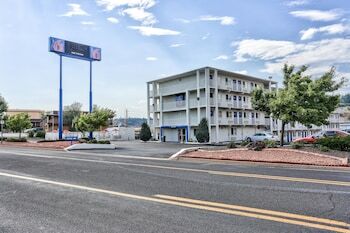 Best Western Premier Grand Canyon Squire Inn: Best Western Premier Grand Canyon Squire Inn is 5 miles (8 km) from the South Rim of the Grand Canyon, and 6 miles (9.7 km) from The Rim Trail, which overlooks the canyon's depths. 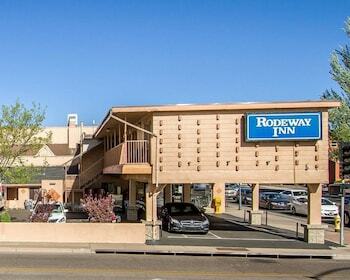 Guests can stop by the Yavapai Geology Museum, a 15-minute drive away, to This hotel has a 3.00 star rating. Question : What are the top attractions in Grand Canyon? Answer : Grand Canyon has over 57 points of interest for you to choose from. We suggest checking out Grand Canyon National Park and Oak Creek Canyon first because they are the most popular attractions in Grand Canyon. Don't forget about other highly recommended spots like Arizona Snowbowl, Coconino County Fairgrounds, and Bright Angel Lodge. Get out there and see what the city has to offer on your trip to Grand Canyon! After a long day of pink Jeep tours and visiting the Grand Canyon, this was a welcome oasis! 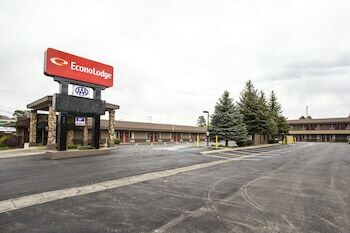 Friendly staff, clean rooms, comfy beds and a great shower! Way better than the over priced resort in Phoenix. We stayed in the hotel part and it was excellent. Newly renovated, clean, comfortable, everything we hoped for. Two thumbs up. Really liked the convenience to the park. Also liked the bar/restaurant. Didn't like the TV or internet reception.